I am immensely proud to present the thirteenth edition of the Five-Q series. My goal was to bring in interesting people to talk about interesting subjects relating to careers in the arts, in comics, in writing, and in journalism. Having a vision and achieving that vision is always a wonderful feeling. Today's guest brings a new element into Five-Q: video games. The people who know me understand my obsession with fighting game story analysis. I write about it. I speak on panels about it. I talk about it on my podcasts. However, I really don't get the opportunity to present the subject from an insider's perspective. Earlier this year, however, I got the chance to meet Jim Zub. 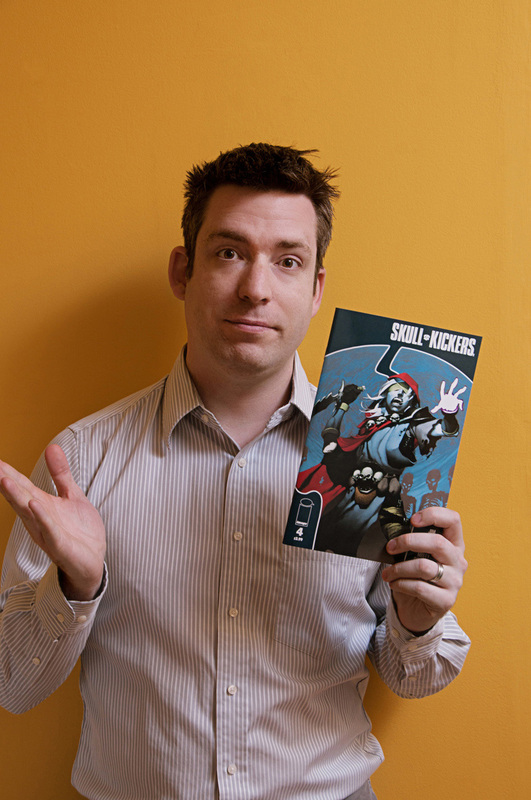 Zub is known for his creator-owned work for Image Comics and his work on licensed intellectual properties with IDW Publishing. He does so much great work that people sometimes forget that he also writes for UDON Comics, the long-time publishers of the Street Fighter comics. He was kind enough to answer several questions for me regarding the process of creating stories for the iconic fighting game franchise. Aaron David Harris: Street Fighter is arguably the most recognizable video game in its genre (fighting games). What is your connection to the franchise? Did you grow up loving it? Were you intimidated taking up the writing mantle of the Street Fighter brand? 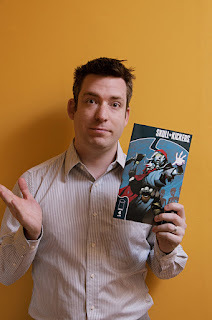 Jim Zub: I’m a long time video gamer and Street Fighter fan who first discovered the franchise in high school when Street Fighter II was released. The incredible graphics with huge character sprites, varied move mechanics, and competitive head-to-head gameplay completely pulled me in. My friends and I would play the arcade game regularly and once it arrived on Super Nintendo it was a constant fixture of our free time. I had a cross-shaped blister on my thumb from pressing hard on the controller day after day, trying to perfect my moves and combos. It was a thrill to come on board the comic series and get a chance to contribute a bit to a game series I enjoy so much. Like any work-for-hire project, I strived to bring my best to it and show that I could take what existed in the established canon and build on that to develop new entertaining stories. ADH: What experiences do you try to give SF fans in the comics that they wouldn’t otherwise get in playing the video game series? JZ: The Street Fighter comics allow readers to dig into a lot more of the back story and motivations of the character cast above and beyond the brief cinematics in the games. The personalities that are only hinted at get a much deeper dive and events that happen outside of the tournament setting can be explored far more fully. It’s additive, enhancing the story that’s already there. 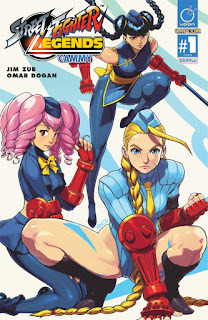 ADH: Obviously comics has worked for Street Fighter in terms of extending the brand of the franchise. Do you think it’s a good idea for other fighting game franchises (Tekken, Mortal Kombat, The King of Fighters etc.) to go all in with comics? Why or why not? JZ: I’m sure it could work well with just about any video game franchise, fighting game or not. Comics are a great way to focus on specific character stories and flesh out the setting in ways a gameplay-centric cinematic has trouble doing. Giving greater context to character relationships, broadening the scope of the setting, and showing past or future events outside of the set game storyline. ADH: I’ve often argued how hard it is to tell a story that revolves around tournament-based fighting games because, unlike most video games, there are multiple “main” characters, each with a story that affects the outcome of the tournament. Ryu, Guile, Chun-li, Cammy...what challenges do you face juggling them all? JZ: Unlike the game, at some point the comic has to show a single set ending in order to move the story forward. Only one character can win the Street Fighter tournament and who that is affects everything after that point in the continuity we’ve set up. We can have our favorite characters but at the end of the day it’s about building that cohesive story and making sure the pieces are in place to keep it going with each new iteration. Capcom doesn’t have to follow our storyline as they plan future games, but we have to try and follow theirs, and that can be a real challenge. ADH: Is there a story in the Street Fighter universe that hasn’t been told that you would like to tell? What parts of the SF universe do you find the most fascinating? JZ: I personally like focusing on ‘lesser’ characters because there’s so much more flexibility to build new things and help flesh out who they are. They’re not as rigidly defined in terms of personality or storyline as the core heroes in Street Fighter, the ones driving the main plotlines. 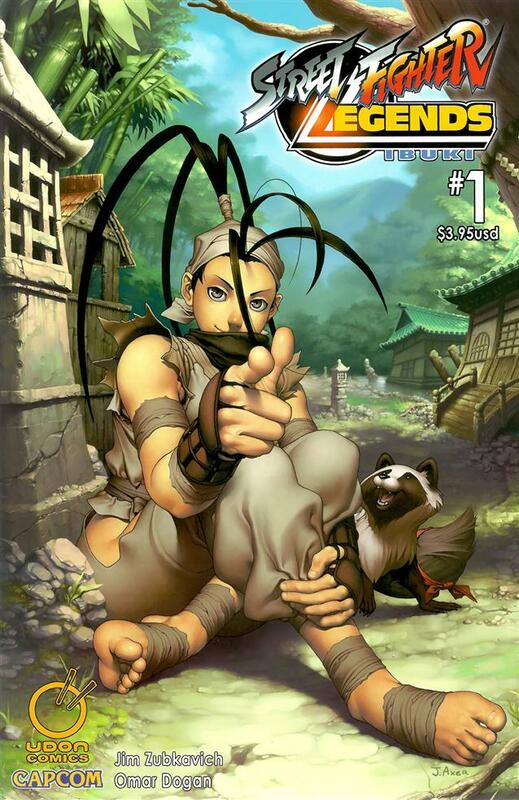 Writing the Ibuki mini-series was an absolute blast for that very reason. Ibuki can have fun adventures off on her own without shaking up the core timeline of the Street Fighter tournaments. In that same vein, almost any of the side playable characters would be fun to work with and develop, including Elena, Makoto, Laura, Karin, Dhalsim…you name it. Those side stories are where we can get the most creative. ADH: Fighting games are defined by the special moves (Hadoken, Cannon Spike, Psycho Crusher, etc.) How do you incorporate those special moves into a story. Any examples that stand out? JZ: Just like in the games themselves, the bigger the special move, the more powerful the result so we try not to overuse them in the comic stories. Special/Ultra moves are a dramatic payoff, a climactic finish to a struggle that shows the character is giving it their all. In the Ibuki mini-series she uses her Yoroi-Doushi Super Art as the big finish to a confrontation with Oro and it represents the culmination of both her intensive training up until that point and her will to persevere no matter what. ADH: You mention how Capcom doesn't have to follow the storylines that you create. But are there instances where the company has taken something you've created and used it in any other capacities beyond the comics (games, films, official bios, etc.)? 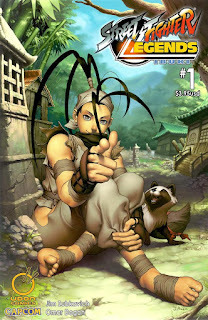 JZ: Street Fighter producer Yoshinori Ono really liked the Ibuki mini-series and in turn gave Sarai (Ibuki’s best friend who we fleshed out a lot in the comic) a nice appearance in the cinematics for Street Fighter IV. We’ve also seen quite a few of the costume designs come up with by the UDON artists incorporated into the games as alt costumes, which is a nice nod to our hard work on the comic series. There’s a lot of mutual respect between the Capcom Japan game crew and the comic creative team.